Chinese recipes for cooking are some of the most interesting and delicious types you can find. From your standard stir fry to more exotic dishes with shrimp or duck, Chinese recipes are sure to be a big hit at your dinner table or any type of get together. 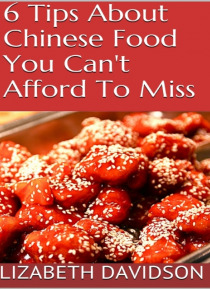 In this ebook, you'll find helpful tips on:-Never Before Heard of Chinese Food Tips-5 Things You Should Know About Chinese Food-Where to Find G… reat Chinese Food-And MoreGRAB A COPY TODAY!